Chairman of the A.J. 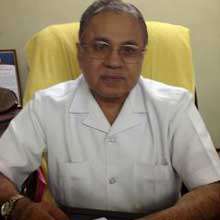 Trust, a leading Allopathic Medical Practitioner, specialized in Sterility and STD, is a Resource Person from Madurai Kamaraj University, Madurai and the Chairman of Tamil Nadu Medicinal Herbs Industrial Co-operative Society Ltd., (under the Governance of the Ministry of Industries & Commerce, Govt. Of Tamil Nadu), and a veteran social worker. Managing Director of the A.J. 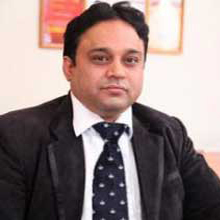 Trust Educational Dr. A. Najeerul AmeenConsultancy, graduated from Volgograd State Medical Academy, Russia and is a popular Medical Specialist in Andrology and STD in India, hectic Medical Practitioner running Ameer Specialty Clinics at Chennai and Madurai, is a Honorary Consultant of Siva Hospital and Dr. U. Mohan Rao Memorial Hospital, Chennai. He has also served in Meenakshi Mission Hospital & Research Center, Madurai and completed his Senior Medical Internship in Govt. Stanley Hospital, Chennai. He serves as a shining example of Professional Excellence and Integrity of Russian Medical Education.